A kinetic com­po­sition con­ceived by Ice­landic musi­cian Ólafur Arnalds and Joachim Sauter/ART+COM that combines mecha­nical mo­tion and the poetic synergy of music in a space. The exhibition project focuses mainly on the cor­relation and inter­action of three elements: reflection, sound and movement. Symphonie Cinétique narratively inter­relates the three elements, and brings out their inherent, almost mystic harmony. 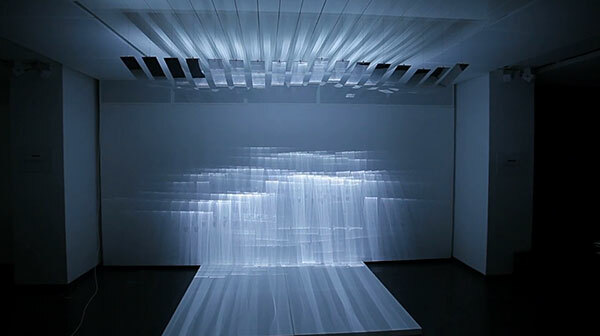 The result of this process is an artistic synthesis, a unique spatial experience.